Only in winter time you can skate on the Ice at the Museumplein. 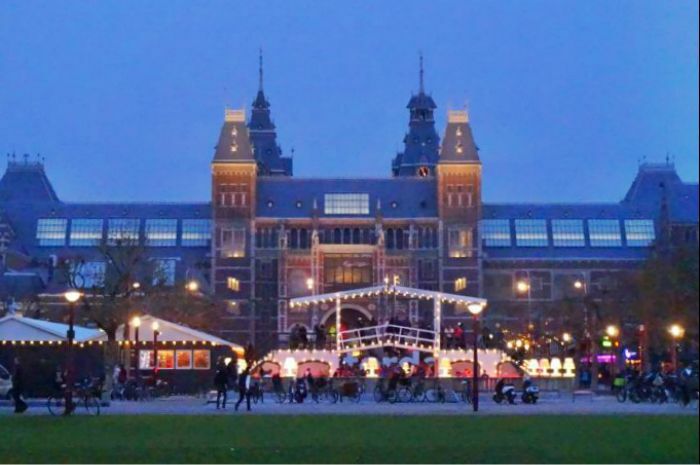 Grab your skates and come to Amsterdam to skate on the Museumplein. 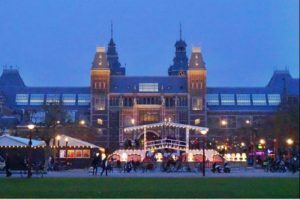 If you don’t have any skates just rent them while you are on the Museumplein and skate on this lovely spot by the Rijksmuseum and the Van Gogh Museum in the middle of Amsterdam. And if you get cold drink some hot chocolate or Glühwein on the winter terrace. Be sure to wear some gloves otherwise you are not allow on the ice. How to get to Museumplein? Take tram 2 from Central station, stop at Rijksmuseum.